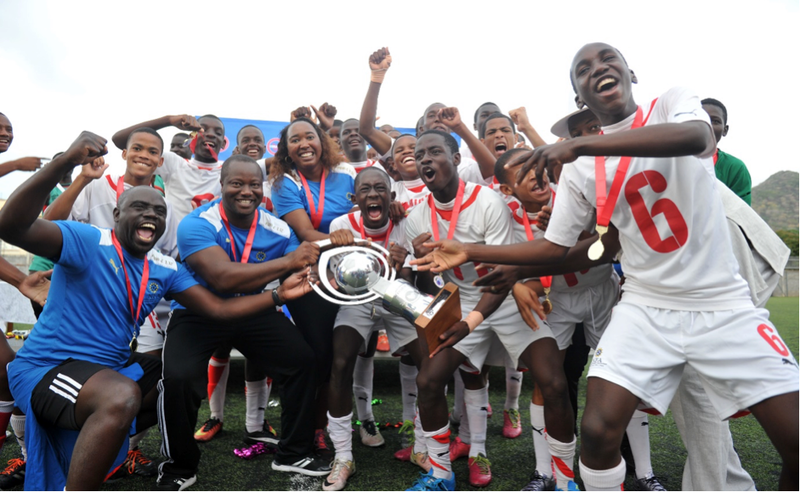 THE Namibia Football Association (NFA) has called up 30 players to the Baby Warriors camp that starts on Wednesday as the team is set to play two friendly games against the inbound Westphalia regional team that is visiting from Friday. Through the Ministry of Sports, Youth and National Service, as well as the Football and Athletics Association of Westphalia (FLVW), the Westphalia tourney has been in existence for the past 20 years and this time around, the German side will be in Namibia and will play three games from 13 to 20 April in Gobabis, Windhoek and Mariental. 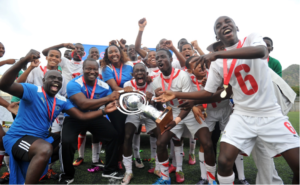 Baby Warriors coach, Pauhl Malembu, stated that they have called up 30 players from which 20 players will be selected to take on their Westphalia counterparts in the planned friendlies that will surely give the local boys much needed game time against the reputable opposition team. 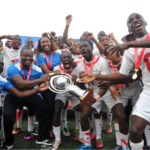 “We are focusing on boys born in 2003 and 2004 as we want them to play Westphalia, a top quality side, for them to gain necessary experience as we await Cosafa under 17 championships later in the year. For some of the players it will be the first time in the national team setup, but we also have experienced players such as the captain Prins Tjiueza and others”, Malembu said. Training for the Baby Warriors kicks off on Wednesday, with two training sessions per day at the NFA Technical Centre where the team will further be trimmed to 20 players ahead of the first friendly match against Westphalia on 16 April at 18h00 at the NFA Technical Centre. Westphalia team will arrive into Namibia on 12 April and will play the first game in Gobabis against Omaheke Under-19 on Saturday 13 April at 16h00. The following players are part of the Baby Warriors team that will arrive for training camp on Wednesday: Pascal Matende, Promiss Gurirab, Steven Damaseb, Tyron George, Jarule Awaseb, Prins Tjiueza, Ikuaterua Mungendje, Bradley Hanixab, Tjipee Kaputjaza and Friedman Goraseb, Denzil Narib, Edmar Kamatuka, Ndjiharine Katjivena, Giagino Geiriseb, Romin Berndt, Sven Gunzel, Zander Mcclude, John-Pall Beukes, Owen Damaseb, Xavier Mcclude, Murphy Naobeb and Filippo Micheletti Vicenco Ganeb and Amazing Kandjii, Byron Eiseb and Gonzalec Tsuseb, Djorkaef Stein and Prince Apollus, Erastus Ambambi and Shamu Samunzala.